OnLive says it has been granted a patent on the technology behind cloud-based gaming, a situation which could have serious ramifications for rival companies like Gaikai. 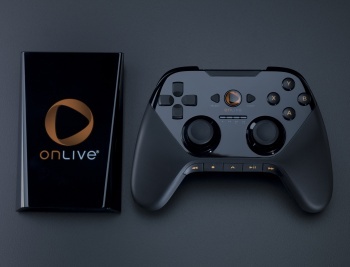 OnLive opened its virtual doors to the public in June but the development of the system, which handles videogame processing chores on remote servers and then fires the visuals back to any PC, netbook or its own "microconsole," has been ongoing for years. Founder Steve Perlman began work on the technology in late 2002 and filed for a patent in December of that same year, and last week it was finally granted. Richard Doherty of the market analyst firm Envisioneering Group described it as a "landmark patent," noting that unlike many other technology patents, this one is based on real-world hardware. Furthermore, because of the huge and growing popular of gaming, Doherty said there will likely a lot of other companies lining up to license it. Which naturally leads to the question of Gaikai, OnLive's rival cloud-gaming system that's currently undergoing beta testing. Perlman said "he has a history of trying to work out agreements" in such cases and claimed that despite holding over 100 patents, he's never sued anyone for infringement. On the other hand, these stakes are high; in August the company had an estimated valuation of $1.1 billion and is planning to expand into streaming movies next year. "You can never time when a patent will arrive," Perlman told VentureBeat. "But it's gratifying to get the recognition. In my opinion, it is a very fundamental patent that covers an important part of the system."